It looks like the cinematic world of John Green is expanding — at a very rapid rate. After the success and acclaim of last year's movie adaptation of The Fault in Our Stars, audiences were chomping at the bit for the big screen version of another popular novel by the author, Paper Towns, and wondering which actors would hop on board. The Towns ensemble is bigger than TFIOS', and audiences always have strong opinions about the actors playing literary characters they love. Thankfully, the studio didn't waste any time letting fans know who would be playing the beloved characters of Paper Towns . For Q, the book's leader and young narrator, TFIOS' Nat Wolff took on the role. But what would a hero be without a reliable best friend who keeps it real with him no matter the circumstances? That role went to someone less familiar. Yet while the actor who plays Radar in Paper Towns may not be famous just yet, he's someone you should definitely keep your eyes on. 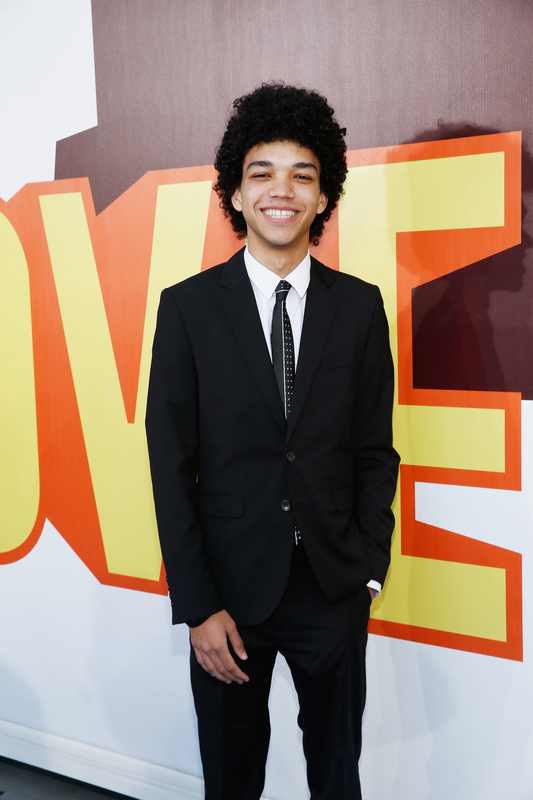 Justice Smith plays the teenage sidekick, and he's one of those actors that you want to brag, "I knew about him before anyone else." His IMDb page is growing at an exponential rate. Some may recognize the U.S. Presidential Scholar of the Arts nominee in a recurring role on Nickelodeon's show superhero family show, The Thundermans, and others may recall seeing him in the HBO mini-series, A YoungArts MasterClass, while even more might remember his face from episodes of John and Hank Green's Vlogbrothers videos. But after his role as Radar in Paper Towns , his career is sure to take off... specifically with his next project, The Get Down. In the upcoming Netflix series created by Baz Luhrmann, scheduled for a 2016 premiere, Smith will travel back to the '70s during the birth of the hip-hop era. He'll be playing Ezekiel, who is described as "a smart, resourceful teen, brimming with untapped talent and unrequited love, who is determined to make his mark in this world." He'll star alongside Dope actor Shameik Moore, Skylan Brooks (The Inevitable Defeat of Mister & Pete) and Tremaine Brown Jr. The Get Down is described as a "hip-hop drama." I'm not 100 percent sure what that entails, but I'm picturing it to be like a throwback to movies like Juice or Beat Street. Really, though, if it is anything like Luhrmann's Moulin Rouge, Romeo + Juliet or any of the filmmaker's other visually arresting and musically charged projects, it's sure to be something great. It seems like being cast in a John Green book-to-movie adaptation is a Midas Touch for a young actor's career — just look at how well Shailene Woodley, Ansel Elgort, and Nat Wolff have fared since getting cast in The Fault in Our Stars. Like Joss Whedon has his Whedonverse of actors, Green is building his own Greentropolis of talent, with his latest addition, Justice Smith, making waves as one of the breakthrough actors of 2015.